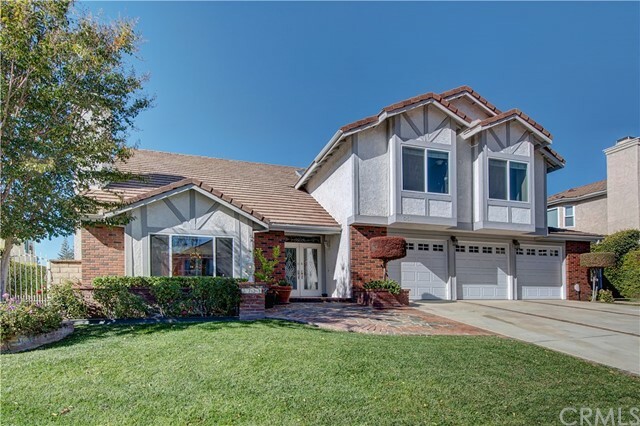 Located in Agoura Hills in Morrison Ranch South community, this home features 5 bedrooms, 3.5 baths, and has approximately 3580 square feet of interior living space. The lot size of approximately 9452 square feet offers a saltwater pool and spa with a mature landscaped backyard. Enter the home and be welcomed by a beautiful entry with travertine tile flooring. Living room with fireplace. Formal dining area. Spacious kitchen with gourmet center island, stainless steel appliances, beautiful granite counters, tiled back splash, and tons of cabinet space. Large family room with wet bar, custom built-ins, and fireplace perfect for family gatherings. Updated half bath downstairs. Newer windows and sliders. Custom crown molding and large baseboards just to name a few of the many upgrades on this home. Master retreat with fireplace and sitting area. Gorgeous updated master bath with raised custom cabinets, marble counter tops, dual sinks, separate tiled shower and tub. Entertainers dream with the meticulously landscaped rear yard, covered patio, atrium, and saltwater pool and spa. 3 car direct access garage. An unbelievable property, you won’t be disappointed.